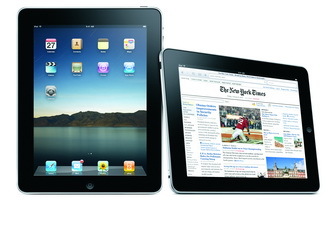 The iPad is the ideal tablet computer for all kinds of professional requirements, entertainment and games, and facilitates every possible task. Thus it meets all the business needs, the educational needs of the student, entertainment while on the move, games and videos for children, music for those who enjoy it and design apps that will simplify tasks for every type of designer. Designers love its larger screen, its multi-touch capabilities and it portability with its light weight, extra slim design and small form factor. Designers can use the iPad as and when an idea strikes them, make sketches while waiting or working in an inspiring environment, and have rough drafts that can be finished later. This helps creativity take shape immediately. Adobe Ideas – Is a remarkable digital sketchbook that enables designers to capture their ideas while on the move or away from their desk. The app comes with support for Adobeís professional design applications like Illustrator and Photoshop software. Drawing is a lot of fun with this app that is so simple and easy to use. Phaidon Design Classic – This app is meant for designers needing to get access to some timeless design classics of all times. It brings a detailed history of 1000 designs by well known designers like Le Corbusier, Achille Castiglioni and others. The designs are flawlessly displayed on the large multi-touch iPad screen, with advanced features and a 3D environment, and accessible with a mere touch of a finger. SketchBook Pro – Is the ultimate tool for a designer since it is a professional grade drawing and painting application. The tools for drawing and painting provided are exclusively and intuitively designed for the iPad. The streamlined user interface includes a doodler, professional illustrator and a host of other facilities that make the iPad the best sketchbook ever. Live Sketch HD – This iPad app can allow designers to sketch as they would on a piece of paper with a pencil. It is simple and easy to use with instructions in detail like, draw slowly for thicker lines and faster for thin lines and so on. OmniGraffle – Is the ultimate design app for the iPad that converts the touch screen into the designerís canvas on which any kind of graphics can be added. These could be wireframes for websites, graphic designs, page layouts or charts that can make a document stand out among the rest. Quill – Is a vector art drawing app for the iPad that converts all drawings into mathematical equations and preserve every detail sketched while zooming it to a particular size. It helps rotate picture, resize them and move them as well. Brushes – Is one of the apps exclusively designed for the iPad touch to take advantage of its larger screen and comes with high quality brushes, high quality color picking facility, layers and a deep interface that remains easy to use. The list for apps is increasing constantly with new ones added all the time, but with seven of these any designer can catch every idea on Ipad and later convert it into a great piece of art. About the Author: Neil is a tech writer and head of marketing for eMobileScan, one of the leading UK’s Handheld Computers Specialist including the Motorola MC9090. We work closely with companies to help them increase productivity and lower the running costs. Awesome post and nice collection of designer apps. I’ve heard Adobe Ideas several times this month, in most be worth at least looking into. Excellent compilation! I’m looking into the Live sketch pad, but the others are too tempting that I’ll give it a peek too. Another great release from Adobe. They keep on giving apps that provide the best user experience. So cute! I love the idea of special rugs for kids. Not having to carpet a whole room saves loads of money! Next post: Win a free stay with Park Inn by Radisson – or an iPad!